The fact of the matter is you don't see movies like Black Panther made. I'm not talking about the groundbreaking facts you already know about the movie: its almost entirely black cast, with an almost entirely black creative team leading, given the budget of a film that usually reserved for movies with predominantly white casts, directed by predominantly white men. You know that, and if you don't, guess what: Black Panther is a black movie. Shock! Awe! A million people far more qualified than me, are going to talk about how important this film is in that way. No, I'm talking about a different way in which Black Panther is a movie you don't see made that often. It's an MCU movie that stands on its own in almost every way. The film doesn't need the MCU to bolster it up, and it completely ignores it (except for the obligatory stinger at the end). Not since Ant-Man has a Marvel film actually been about the hero in the title, but Black Panther is and it makes it all the better. Black Panther's plot is Black Panther's plot. This isn't a universe building film, it's a movie about the newly anointed King T'Challa (Chadwick Boseman), and his kingdom of Wakanda. The majority of the film takes place here, as T'Challa is confronted by a usurper for his crown in Killmonger (Michael B. Jordan), and the kingdom of Wakanda is thrown into turmoil. It's the kind of royal intrigue and politicking you'd expect to find in a BBC period drama about the Tudors, with dashes of action thrown in. It also really shows the fundamental flaws of basing your entire governing system on a one-on-one battle to the death, but that's neither here nor there. Black Panther isn't just separate from the MCU in the fact that it ignores most of the universe that surrounds it, but it's tonally and visually different as well. Think of the difference between Guardians of the Galaxy when that first landed, and you'll get a feeling for how separate Black Panther feels. Its story is grand Shakespearean stuff about royalty, betrayal and family. 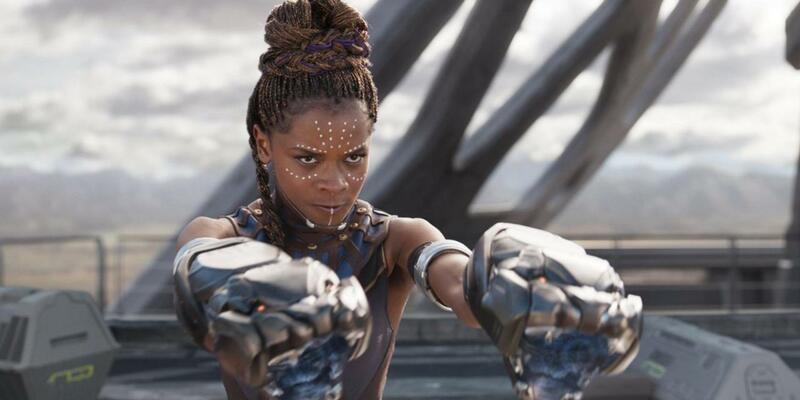 It takes place almost entirely in the country of Wakanda, which has a completely different look and feel to the MCU locations we've seen so far. This isn't to say that Black Panther doesn't fit into the MCU's world, but more that it is it's own thing within the context of it. Probably the biggest factor in this tonal change is the movie doesn't feel like an action film. If you go in expecting your standard Marvel pacing, as I did, then it can take a moment to re-calibrate for this more deliberately paced film. The fight sequences and big set pieces are pretty far between each other, instead the film focuses in on the bigger-than-life characters to drive the story. That's a far cry from some of the more recent Marvel films, which often feel like their plots are shouted through exposition while punches are being thrown. I'm not coming down here on the rest of the MCU, as most of the films in it are good, but instead trying to illustrate just how different and ambitious Black Panther feels. This is a character movie first, and an action movie second. That's also clear by the fact that the action isn't quite up to Marvel snuff. There are some awesome set pieces put together, and Ryan Coogler is a talented and brilliant director (watch Fruitvale Station and Creed now), but it's pretty clear this is his first big time rodeo. He sticks some moments while other fights get away from him. Sometimes his action direction can be a bit unclear as he cuts away to reaction shots or chops up fights a bit too much. This is by no means a deal breaker, as the fights stay coherent enough, but it's definitely noticeable. Thankfully, he fully makes up for it in almost every other aspect of the film, pulling out impressive performances from impressive actors, and developing his tension in other more dramatic ways. This is probably most apparent in how the film handles its commentary on current events, never feeling preachy, but often reflecting the truths of our time. Black Panther is much like Coogler's previous films, which take personal stories and use them to comment on bigger themes like race, culture, inequality, and isolationism. A major theme running throughout the film is what Wakanda's role as a technologically advanced society should be in the greater world. Marvel films have been dipping their toe in and out of commentary like this since they started, but never like this. It's a risky move, but Black Panther pulls it off because it feels like part of the world, and part of the story. Comics (especially Marvel's) have always been built around social commentary -- paralleling our own world in larger-than-life ways to more easily digest large issues -- and a Marvel movie finally taking the risk to fully do that is impressive. Coogler doesn't just play with big thematic ideas about culture, but also turns cinematic tropes on their head repeatedly. Martin Freeman, as returning CIA agent Everett K. Ross, wonderfully flips the token black guy trope on its head playing the Tolkein token white guy. His character is never a caricature to the extent that most token black characters are, but it's a fantastic turn in a film that flips almost every Hollywood convention back at itself. The movie plays with norms time and time again, but never beats you over the head with anything. It treats its differences as if they were part of the norm, because that's what they should be. Also impressive is that Marvel has finally created a villain that is more than just a McGuffin for its heroes to fight against. Two, in fact. Andy Serkis' return as Ulysses Klaue is welcome simply for his insanity, but a long running complaint with the MCU is that its villains are often short-shrifted. Not so for Jordan's Killmonger, who has a fully-fleshed out backstory, pulls off a surprising plot twist, and just does more than we've come to expect from Marvel's villains in general. It helps that for the most part he's not some CGI monster hell bent on destroying the world, but instead an actual actor with a personal story, and compelling motivations for his actions. It's the more successful execution of what Marvel tried to do with its villain in Civil War, and it a great palate cleanser for the upcoming entry of Thanos in Avengers: Infinity War. All this isn't to say that Black Panther doesn't get comic-bookey. There are moments in this movie that could only be pulled from the pages of a comic series established in the 1970s. At one point, giant rhinos charge into the middle of a battle for warriors to ride on, and you can't help but remember that this is a film involving a magical purple flower that gives a man super powers. That's not a bad thing at all. These are comic book movies, and they should feel like that. It, in fact, helps Coogler balance out the personal/political sides of the film. 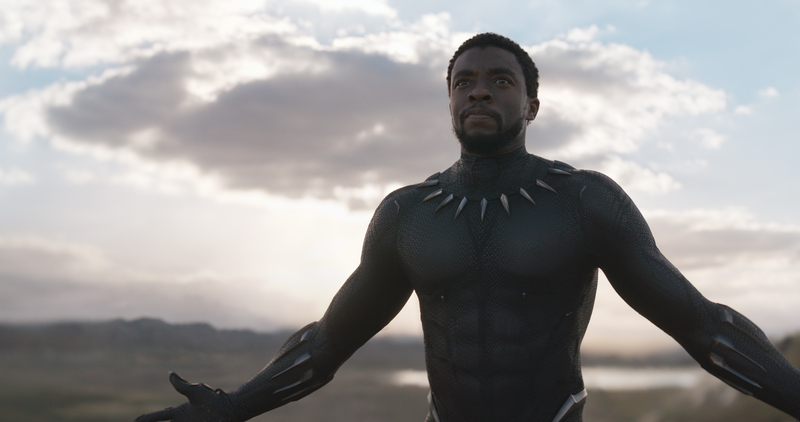 Black Panther is a comic book film at its core, and that is nothing but a compliment. If you're for some reason worried about "social issues" getting into your comic book movie (despite the fact they've been part of comic books since their inception), don't worry, you can still go in and check out if you so choose. Black Panther isn't a perfect film, but it's definitely a different one. If you're not ready for it's relatively slower pacing it can feel almost jarring in the way it approaches comic book movies. In this vein its action can feel stilted, but everything else about it makes up for any shortcomings. It is a culturally significant film, that is about to disprove about 100 million different assumptions that Hollywood holds dear. We all know why Black Panther is groundbreaking, but it's good to know that it's also just a damn good movie.